"As we age, the skin on our feet becomes thinner and is predisposed to deformities such as bunions and hammertoes. It is important that you check your feet on a daily basis, especially if you are diabetic, have compromised circulation, or have loss of sensation in your feet," says Daniel D. Michaels, DPM. "Foot odor is generally caused by a condition called hyperhidrosis or bromhidrosis, a condition in which the feet sweat excessively, generally in an enclosed shoe. 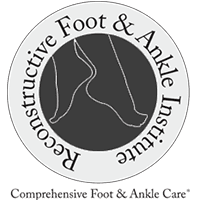 Treatment may include appropriate foot hygiene instructions, the use of a topical agent to reduce sweating or, occasionally, medical procedures or medicine to reduce the sweating," says Dr. Michaels.